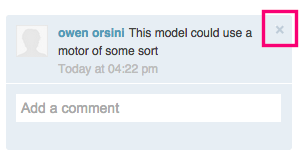 When you are viewing a file on Workbench, you can add comments on the file. Your collaborators will be notified of the new comment and can reply. You can add extra information about the model using pins and sketches, and you can call out specific collaborators using @mentions. 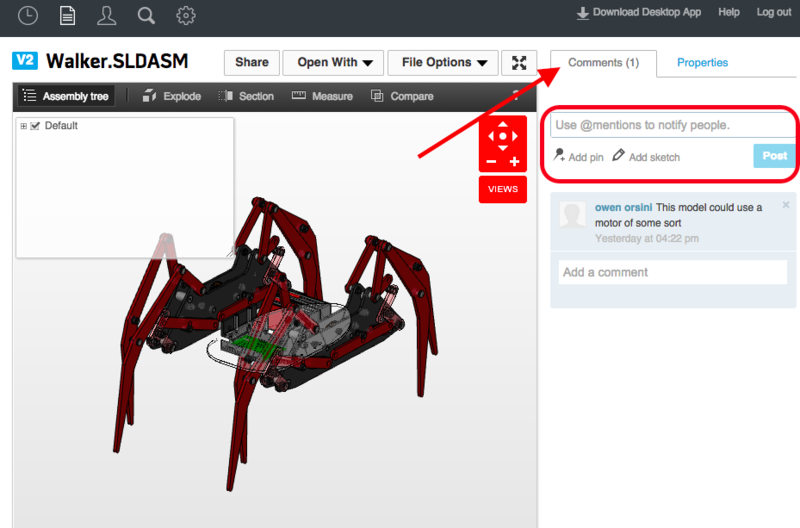 In workbench you can add comments, in the comments tab, to convey more information about a particular part or assembly. 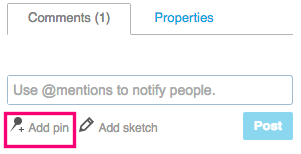 When a comment is made all collaborators are notified through email. Partners, as well as users who have their email notification turned off in their email settings, will not be notified. Additionally, collaborators will not be notified of comments made from within a project's Partner Space unless they are explicitly invited to that Partner Space. You can delete a comment by selecting the 'x' in the top right corner of the comment in which you want to delete. 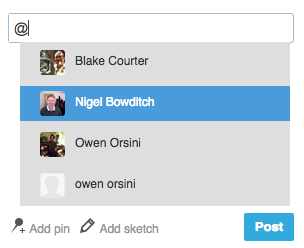 You can mention a collaborator in a comment by first typing the "@" symbol and selecting a user to mention from the drop down list. 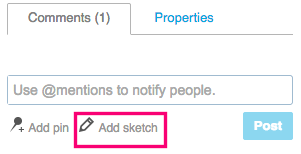 This will notify the user regardless of their notification settings. 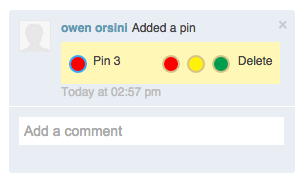 In addition to making a comment you can also add pins to the model. 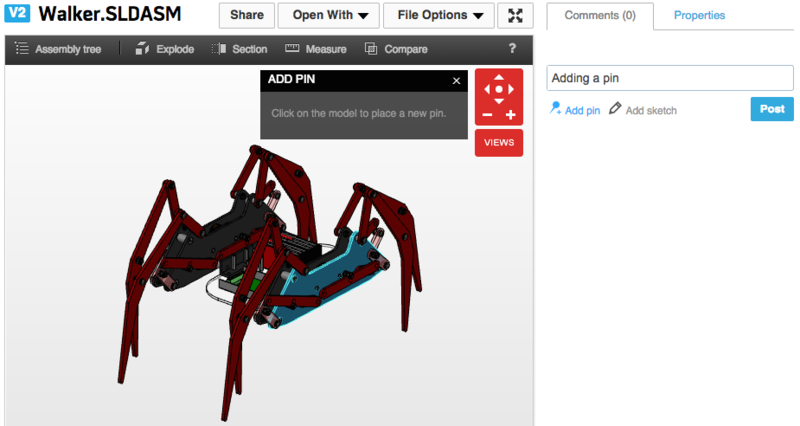 In order to create a pin you can type what you want in the comment field, select "Add pin", and place it on any part of the model. The pin with the comment will now show up in the comment list. Sketches are another way of annotating a model for other collaborators. 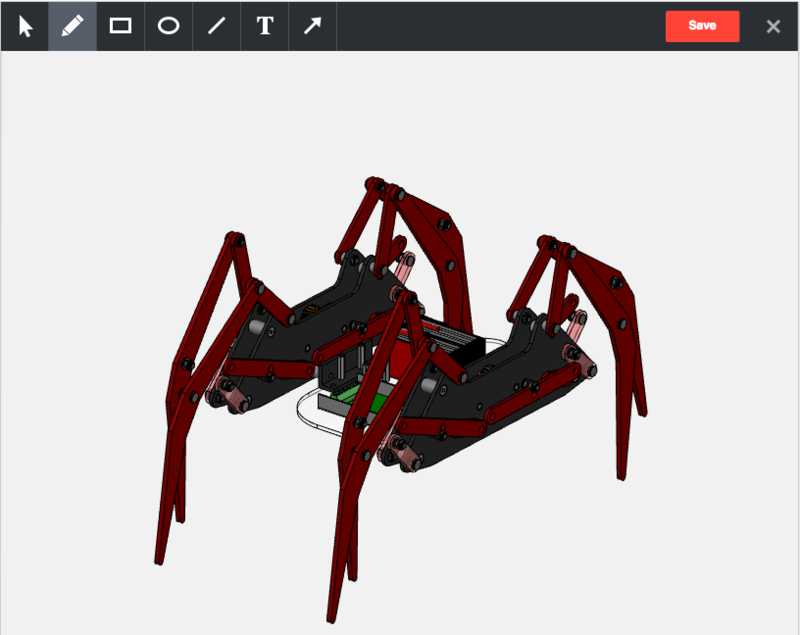 To add a sketch, add a comment to the comment field, click "Add sketch", and use the tool which appear in the viewer to add lines, boxes, ovals, or free form drawings on top of your model. 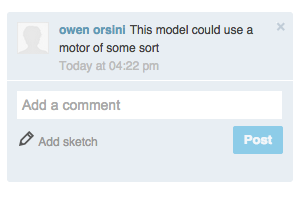 Once you are done sketching an image of your sketch will appear in the comment list along with your comment.